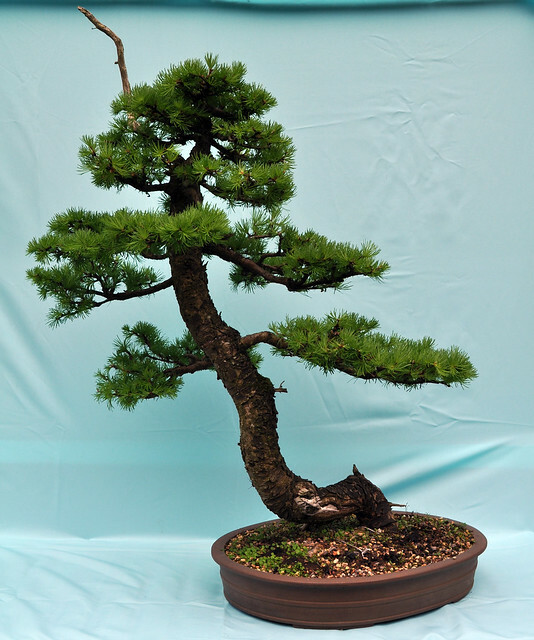 Japanese Larch owned since 2002, raw material bought from Willowbog Bonsai. 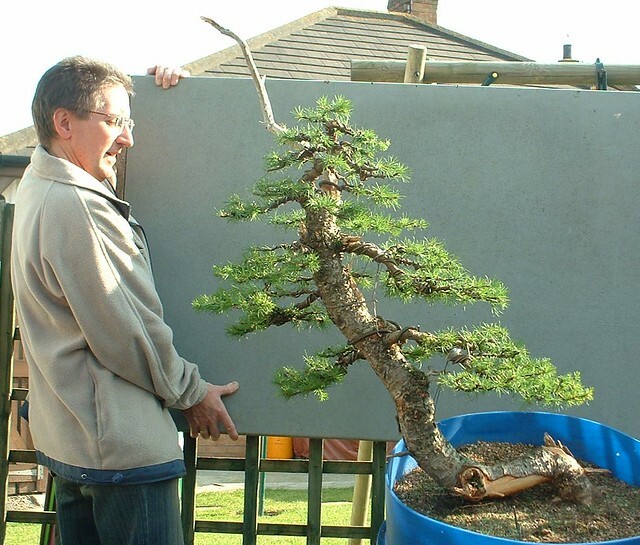 Here is my larch back in 2003, ready for its styling by Marco. 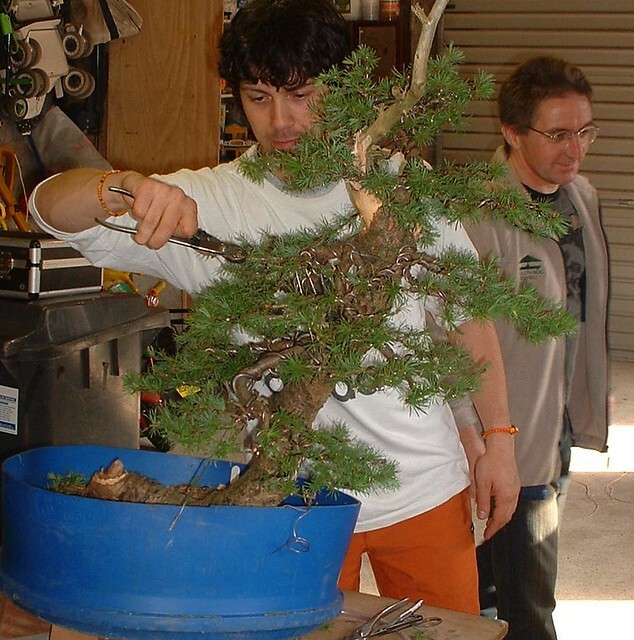 Marco placing the branches, i’m in the background with your logo on display Peter! This is the first photograph after Marcos’ styling. Here is the tree a few years later, all potted up. The tree was originally purchased from Willowbog. 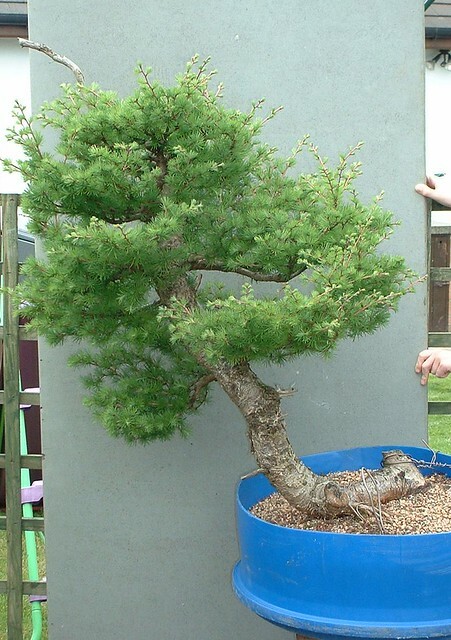 The tree was repotted by Peter & myself at one of his many workshops. Oh, and the pot was also purchased from Willowbog.